Wind River is the third film written by Taylor Sheridan to be released in cinemas in the space of three years, and it’s the first to be directed by Sheridan himself. Perhaps that’s a problem. Wind River feels of a piece with Sicario and Hell of High Water in terms of its thematic territory and its play with genre conventions, but it lacks the style and perspective that an experienced director might have brought to the material. Sheridan makes good use of the majestic snowy peaks that surround his characters, but without a knack for telling his story in visual terms the success and failure of his film rests heavily on the screenplay, and it is often found wanting. The film begins with a young woman running for her life through the snow. 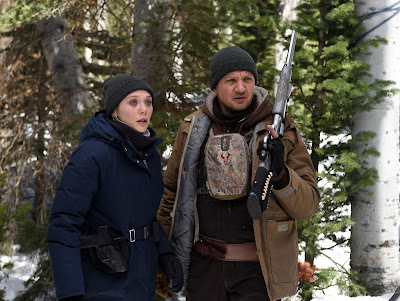 The next morning her barefoot, frozen corpse is discovered by Cory Lambert (Jeremy Renner), a US Fish and Wildlife Service agent who acts as a guide to this territory when young FBI agent Jane Banner (Elizabeth Olsen) is despatched to investigate. The territory in question is an Indian Reservation in Wyoming, which makes Renner’s role a slightly awkward fit. His character married into this community and he has earned their trust and respect, but it still doesn’t sit well that it’s Renner educating us on the plight of Native Americans. Lambert is apparently a better hunter, tracker and marksman than anyone who hails from this land, and his abilities drive the narrative while Banner’s more traditional investigative techniques fail. He’s prone to spouting aphorisms such as, “You want to hunt a wolf, you don’t go where it might be, you go where it’s been” in his hunt for the killers, and his instincts never fail. 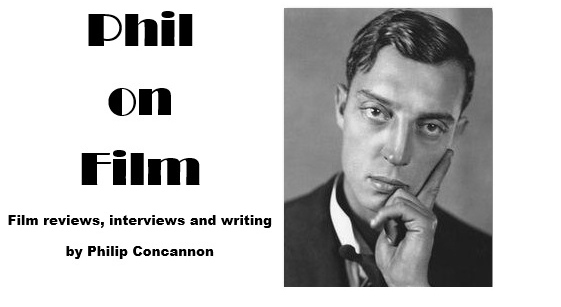 One can’t help wondering how much more interesting the film might be if his character was a Native American, and Olsen’s Banner was the only outsider. Wind River is at its best when it plays as a straightforward thriller. Sheridan handles the film’s set-pieces well, particularly a sequence in which Banner – with temporarily impaired vision – stalks a suspect through a house, and a tense late stand-off that explodes into violence. He also teases out the tension of that climactic sequence by interrupting it with an extended flashback; the kind of bold narrative gamble that the film could have use a little more of. Wind River is engaging and moderately satisfying as a genre film, but it always feels like Sheridan is reaching for something greater; he wants to illuminate the situation of Native Americans in 21st century America, but that community has only intermittently come into focus throughout the course of the film. Wind River ends with the onscreen text: “While missing person statistics are compiled for every other demographic, none exist for Native American women.” It’s a sobering statement, and it left me wondering when a filmmaker was going to tell their story.